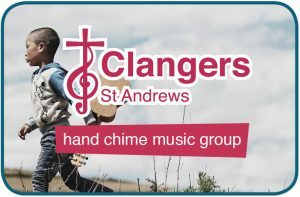 Why not come along to the Clangers hand bell ringing group which meets each week to learn a new skill, we have both a Children’s group and adult group. No need to be able to read music Sam who is a great teacher will bring out the inner musician! Both groups meet on a Wednesday 5.30pm – 6.30pm for the younger group 6.30pm for the older group. We make a small charge of £1 per session. Hand chimes were developed in the early 1980s as a more affordable alternative to conventional hand bells. Sharing the same basic characteristics as hand bells, hand chimes are a versatile and durable musical instrument now finding favour with groups of all kinds around the world.